A rain trench so smart they named it Logic. 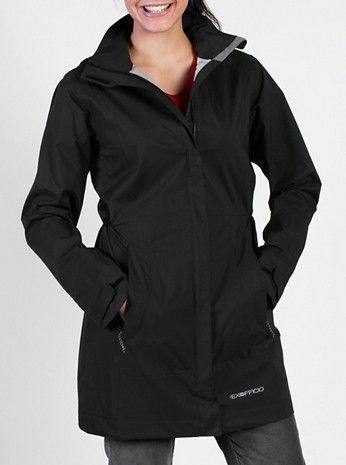 Completely waterproof, fully seam sealed, and breathable, it will keep you dry and active without overheating. Constructed with 2.5 layers: a lightweight face fabric to block water, a polyurethane laminate to block wind, and a protective inner sheen for abrasion-resistance and durability. It features an internal four-pocket travel system and packs into its own hood, so throw it in your bag and be ready for weather in every language. Shell constructed from 2.5 layers: A low-weight face fabric (first layer) to block water, a polyurethane laminate (second layer) to block wind, and a protective inner layer (a sheen considered a half-layer), which provides a touch of slickness to slide over clothing and abrasion-resistance for durability.